We’ve got so many good results on Google right now. I don’t know whether you did it or it just happened through some content on the blog or how it worked out, but we are on first page of over 50 pages of Google search results on different terms. I mean there’s 50 different search terms where we popped up on the very first page. It’s amazing. I don’t know of anybody else that has even anything close to that. Why Lose Leads & Deals To An Under-Performing Website? Losing a single deal can cost you $5000, $10,000 or even more. 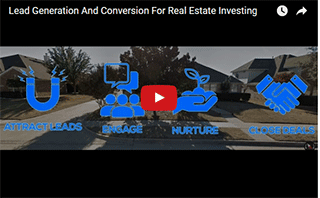 Interactive Real Estate Investor Websites are hands down the most feature-packed automation system built to deliver closed deals using less time, money and effort. As unlikely as it sounds, just a small single payment gets you set for life. It’s that simple. Play the video to see how much you save. 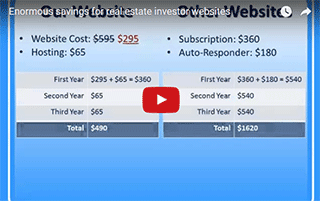 As strange as it sounds, when you buy a real estate investing website from us, you own it for life with free lifetime support and upgrades. You only pay for hosting. With our current special for yearly hosting at $64.50, this will be your only cost per year. If you have your own compatible hosting, then you only pay us a one-time fee to purchase the website, and keep your current hosting. You also get a backup copy of your website that you can download from your member’s area. We don’t plan on going anywhere any time soon, but if we were to run out of business, your business would not be affected by our absence. In future if you want to move to another web hosting company, then simply transfer your web site along with all your data and continue doing business. 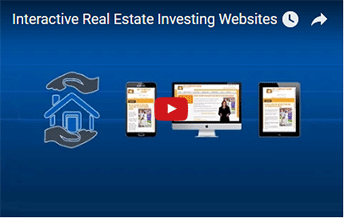 Or if you want to take a break from real estate investing and start again a few months or even years later, then just re-install your web site in a hosting account and move on with your business. What if your business model changes in future? You do not have to buy a new website – you just need to adapt your current website to suit your new business model. In most cases you can adapt it with a few clicks. 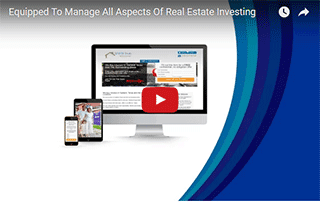 Our websites are the only ones that come with a one-time purchase, you own it for life. You do not get stuck with expensive monthly payments. With other companies, if you cannot afford the monthly fees, your website will disappear, probably along with your business. What if they run out of business? Yes, your website will go down with them. How much money does this save you? A website is not enough – that is why our websites are also built to attract leads for you and convert them to closed deals. The numerous mobile responsive designs are all created for converting leads. No matter what your taste or style is, or your business model, you will have a unique look without compromising the very core value why you need a website in the first place – to close more deals. Your website will be delivered fully configured and ready for business within one hour. You do not have to lift a finger unless you want to make changes. You will get free support for life – even though you can handle pretty much everything without any help (yes, they are that user-friendly), we will give you a free hand any time you need. Limited time promotion – $64.50 a year. Note: Domain registration is not included in this discount. How is this different from other services? You still own your website. You gain complete control and access. If you change the username and password, we no longer have access. And if you decide to take a break and come back at a later date, you will get the latest version FREE – after all you own the website. You will only pay for hosting when you resume. In rare cases, we can install your website on your server. We do not recommend you host yourself. Your server must meet basic system requirements. MySQL5 / PHP 5, or newer, should support ioncube and have php configuration allow_url_fopen set to “on”. It should also support script automation such as cron jobs for autoresponder automation. It is important to understand that even if your website can be successfully installed, server limitations imposed by your host may interfere with smooth operation of your website. Lots of websites out there are simple informational websites that have little to no interactivity. This is an interactive website that interacts with your visitors, with your prospects and buyers including sending emails, autoresponders and automated tasks, generating offers, PDFs, reports, etc. For this reason, it must be hosted on a server that does not impose restrictions. Unfortunately, sometimes the only way to discover a server limitation is when you stumble upon it, your hosting company website, profile or reviews will never cover this. Please note that we have no control over your hosting account, and we cannot take responsibility for server related limitations that may hinder smooth operation of your website. So, unless you understand HOSTING, do not order a hosting account from another company before you contact us. What if I need re-installation on my host in future? We can re-install this for you for a minimal fee. This is covered here. Your website will be delivered fully customized and ready for business with about an hour.